Price is per bead - each measures a large 44mm x 9mm, with a 13mm hole. 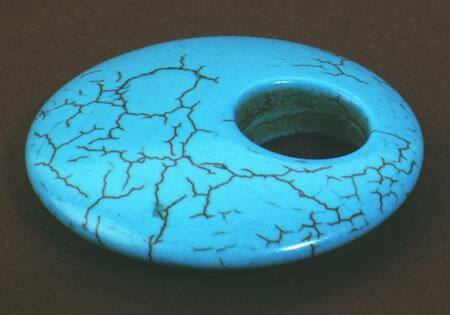 Blue stabilized turquoise. Each will have a different pattern of veining.